Plantar fasciitis is the most common cause of heel pain for an individual, causing a great amount of pain and discomfort for suffers. The plantar fascia ligament which connects your toes to your heel bone actually supports the arch of your foot, and if that ligament becomes swollen or inflamed, then you can experience radiating pain from your heel through to your arch of the foot. This may be caused by wearing a poor choice of footwear which does not support your arches or cushion your sole. There is no need to continue to experience this pain, however, as wearing the correct type of footwear for Plantar Fasciitis can support and cushion your feet, preventing the plantar fascia ligament becoming swollen or inflamed and therefore preventing pain. Choosing supportive footwear does not mean that you have to continuously wear leisure shoes, however, as many brands have launched supportive women’s and men’s dress shoes which may be worn for any occasion. View the Best Dress Shoes For Plantar Fasciitis, Below. Will Shoe Inserts help my Plantar Fasciitis? Can Plantar Fasciitis be Prevented with Support Shoes? 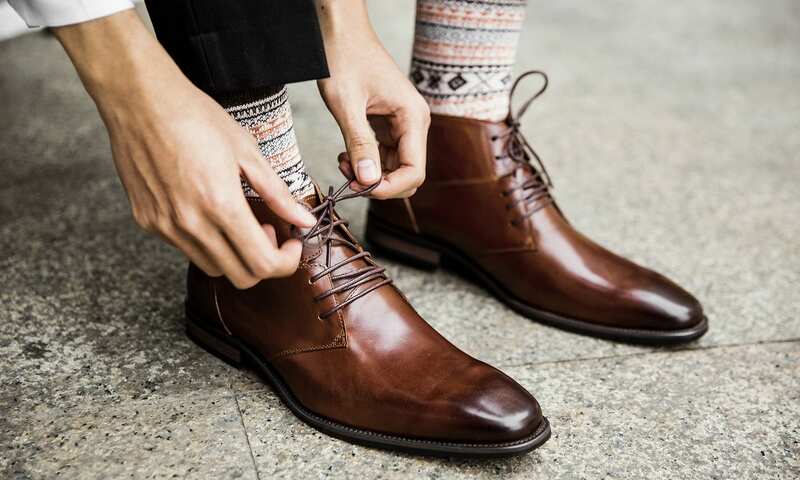 We have reviewed ten of the best dress shoes for plantar fasciitis, enabling you to discover the best type of dress shoes for you and your needs. 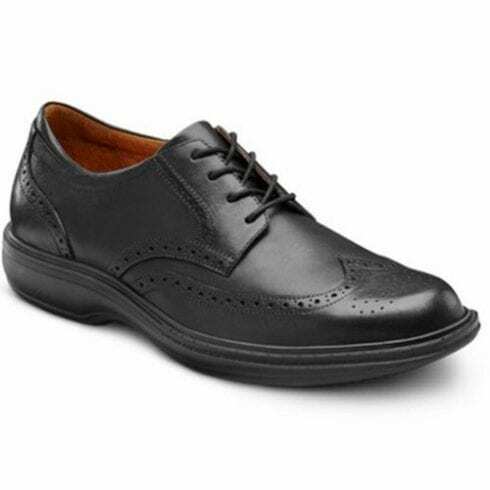 The Rockport Men's Sharp Colben Oxford shoes are made from 100% leather with a synthetic sole. Featuring a lace-up style with blind eyelets, the Rockport logo is embossed on the tongue. The specific comfort system within the shoe is designed especially to offer shock absorption to the feet in addition to a lightweight and flexible feeling. Being available in a choice of fifteen different color choices, these shoes are also available in a suede option. The smarter design ensures that your feet will achieve flexibility in all directions, preventing plantar fasciitis and providing protection to the plantar fascia ligament. 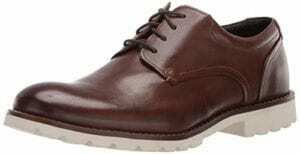 Providing lightweight construction, extended sizes and widths, and the use of soft, genuine leathers, the Rockport Men's Sharp Colben Oxford shoes ensure quality and comfort. 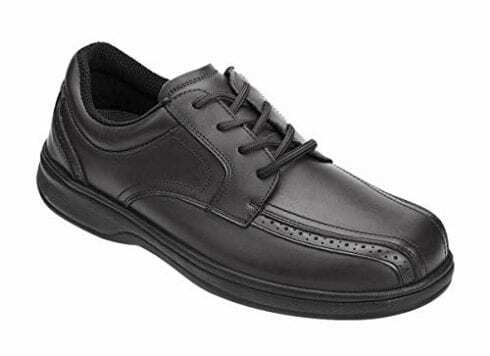 Being available in extended sizes and widths is a strong feature of the Rockport Men's Sharp Colben Oxford shoes, providing a tailored fit perfect for your feet and preventing feet strain or injury. The Orthofeet Proven Gramercy Men's Shoes come in a choice of two colors and are made from 100% leather. Featuring the pinnacle of orthotic support, these shoes consist of a premium orthotic insole complete with anatomical arch support and cushion pads across the heels. Offering an increased level of comfort, the pain will disappear from your heel and your arch through to your knees and back. The biomechanically engineered Ortho-Cushion System provides a pain-free system when you walk, with a soft and seam-free interior lining which supports the feet and prevents plantar fasciitis. The Orthofeet Proven Gramercy Men's Shoes consider every option when preventing plantar fasciitis, from the soft lining to the arch support to the orthotic insole and the cushioning system, ensuring that your feet are supported and comfortable as well as free from pain. 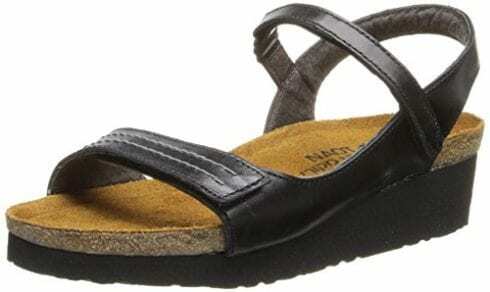 The Vionic Noble Laurie Backstrap Sandal is a modern and stylish wedge sandal, which comes in a choice of four colors. Featuring leather straps and a synthetic sole, the lightweight and flexible EVA midsole ensures that shock is absorbed proportionally, decreasing the stress and pressure levels on the feet as well as the knees and the ankles. These sandals provide a stylish summer alternative which would suit perfectly a sundress or loose summer slacks while protecting and supporting the feet and ligaments from inflammation or swelling. The Vionic Noble Laurie Backstrap Sandal provides effective support for your feet while appearing as a stylish and modern summer wedge sandal. The Ariat Women's Safety Clog Steel Toe Clogs feature full grain leather uppers with a Duratread, tough sole. Featuring a heel height of 2-inches and with slip-on access, these shoes provide an R-toe profile along with ATS Advanced Torque Stability Technology with a composite forked shank. 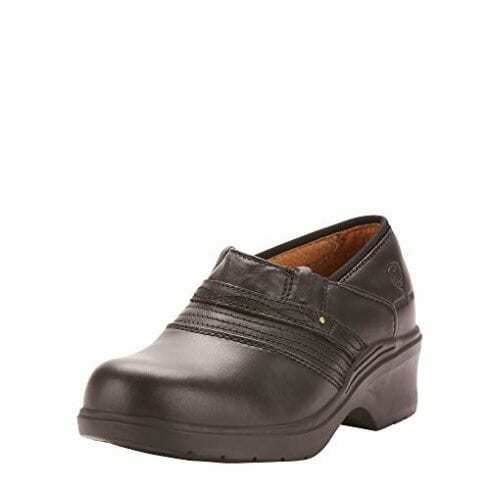 Providing comfort and security, the Ariat Women’s Safety Clog Steel Toe Clogs offer on-site protection in a smart, dress shoe. Your feet are protected from injury or harm. It is reasonably rare to discover a steel toe safety shoe for women which is also stylish, modern, comfortable and practical. Dr. Comfort Wing Men's Dress Shoe feature full-grain leather to enhance durability and prevent the chance of developing skin irritation. Providing removable insoles to ensure cleanliness and freshness, the shoes offer removable footbeds in order to suit your own orthotics. Additionally, this high-quality shoe provides a protective toe box to ensure that your toes are comfortable and protected from injury. The traditional lace-up style offers an exact fit, while additional stability and support ensure that your heel and arches are secure and cushioned. In addition to helping protect against plantar fasciitis, the Dr. Comfort Wing Men's Dress Shoe can also help with foot problems associated with diabetes, osteoarthritis, bunions and rheumatoid arthritis. The Dr. Comfort Wing Men's Dress Shoe is specifically made to help protect against and treat foot problems, providing a solution to many health issues. 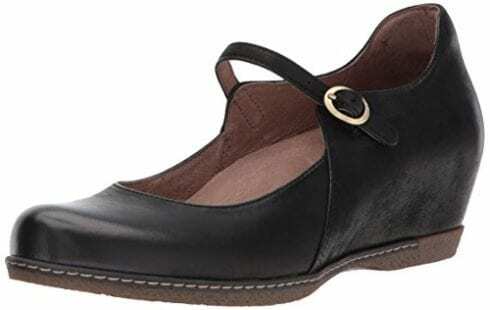 The Dansko Women's Loralie Mary Jane Flat Shoe is made from nubuck leather along with a 3M Scotchgard protector to provide a stain-resistant protector. Featuring a 2-inch mid heel, the shoes are perfect for almost all types of orthotics, including plantar fasciitis. The footbed within the shoe is removable along with being contoured polyurethane, offering Dansko Natural Arch technology in addition to memory foam for the perfect cushioned comfort. The Dansko Women's Loralie Mary Jane Flat Shoes provide sufficient support and comfort to combat the pain caused by plantar fasciitis. In addition to providing comfort, support, and protection against plantar fasciitis, the Dansko Women's Loralie Mary Jane Flat Shoes are also stylish, modern, and practical. 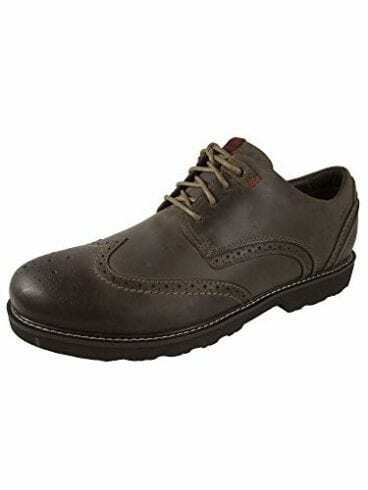 Featuring a choice of two color options, the Dunham Men's Revdare Shoe is made from leather. Featuring lace-up access, the shoe offers a perforated medallion toe in addition to wingtip detail. Providing seam-sealed waterproof construction, 1-inch heel height is included in addition to a removable molded ortholite footbed. The waterproof textile upper features a REVlite midsole, in addition to a steel shank and ground contact EVA lug sole. The design features on the Dunham Men's Revdare Shoe makes this choice a stylish purchase, providing support and comfort while feeling great to wear. 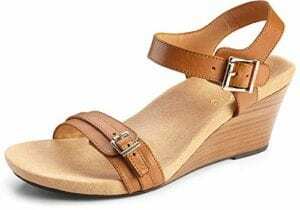 The Naot Women's Madison Wedge Sandal is made from 100% leather in addition to a synthetic sole, providing a heel which measures around 1.25-inches. The anatomic cork and latex footbed are enveloped in luxury suede, molding the shoe to the feet of the individual. A padded back ensures that your feet experience comfort and support, eliminating the risk of developing plantar fasciitis and additional foot problems. The design features two hook and loop straps and is available in a choice of four color designs. The design of the Naot Women's Madison Wedge Sandal is perfect for summer, maintaining a modern style and design while making sure that your feet are protected. Featuring a rubber sole and leather upper, the Vionic Men's Astor Preston Slip-on Loafer is a great choice for a dress shoe which doubles as orthotic support. Offering a removable leather-covered EVA footbed for hygiene and support, the shoes have received American Podiatric Medical Association Seal of Acceptance. With slip-on access, the twin gore panel detail looks great for evening wear in addition to work wear. The footbed is designed by a podiatrist and enables stability across the foot. The Vionic Men's Astor Preston Slip-on Loafer is available in two different color choices. 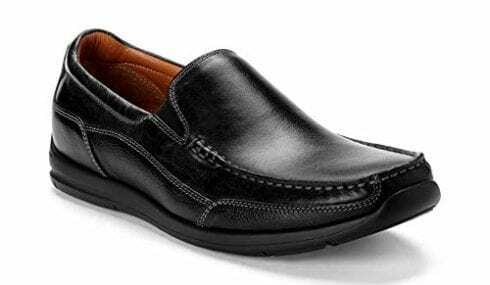 With the footbed being designed by a podiatrist, you can be assured that the Vionic Men's Astor Preston Slip-on Loafer will promote fantastic support and comfort for your feet, removing any pain caused by plantar fasciitis. 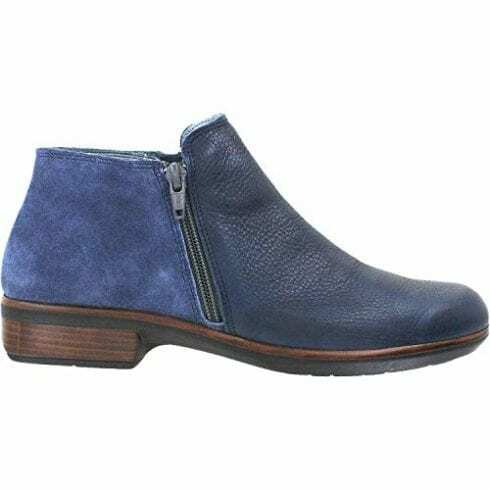 The NAOT Women's Helm Ankle Bootie is available in eight great color design choices and is made from 100% leather in addition to a synthetic sole. Including a padded heel cup for cushioning support, the removable cork footbed ensures the best and cleanliest fit for you. The boots also provide an anti-slip function as well as an arch support feature. Access is gained through a double zipper while the heel is measured at 1.5-inches in height. It is quite rare to find an ankle boot which provides comfort and support for plantar fasciitis. The NAOT Women's Helm Ankle Bootie looks great, and the eight color choices is a fantastic bonus. Plantar fasciitis occurs when the plantar fascia ligament at the bottom of your foot becomes swollen or inflamed, resulting in the soles of your feet becoming very painful. This may occur due to overstretching the feet and may result in bony growths called heel spurs. People who either have flat feet or high arches are more prone to this condition, as are people who are overweight or who run and exercise a lot. Many reasons may result in an individual developing plantar fasciitis. As well as possessing either flat feet or high arches, plantar fasciitis may be caused by wearing high-heeled shoes too often or by wearing worn shoes with very thin soles. Furthermore, an individual may walk unusually or they may place their feet in awkward positions. An individual may have plantar fasciitis if they are experiencing pain across the bottom of their feet, across the center of the heel or the front of the foot. Pain may become worse in the morning or after standing for long periods of time. They are many ways to treat plantar fasciitis; there is no reason why someone should continue to suffer in pain. The easiest way to treat plantar fasciitis is to choose specific footwear which supports your feet and cushions and has shock absorption, providing protection and support in the specific areas you need care the most. Such footwear does not have to be expensive, and there are many different styles and shoe types which you can choose from. 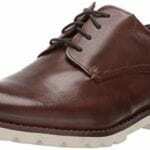 As well as leisure shoes, there are so many modern and stylish dress shoes on the market which provide effective support but which can be worn for work or for special occasions. Ensuring that the shoes fit you well is also very important, so look out for brands which offer additional widths or custom sizes. In addition to footwear, you should rest your feet and provide ice several times per day to the painful area, reducing swelling and inflammation of the ligament. Try making your own ice pack by wrapping a towel around a plastic bag filled with crushed ice, placing on your heel and arch 3 to 4 times per day for a period of up to 20 minutes each time. Physical therapy may also be helpful, stretching and strengthening your plantar fascia ligament and Achilles tendon, massaging the affecting area. Alternatively, a medical practitioner may prescribe you nonsteroidal anti-inflammatory drugs (NSAIDS) for several weeks in order to reduce inflammation and to decrease pain levels. Severe pain may be treated with steroid injections. Further treatment may involve shock-wave therapy, providing shocks to the plantar fascia ligament with sound waves to stimulate the blood flow in the foot and healing the tissue. Yes, shoe inserts or insoles may be able to provide you with additional cushioning and vital support. Look out for firm shoe inserts along with options which provide effective arch support. You can purchase shoe inserts over the counter, or you may choose to have shoe inserts custom made to suit the needs of your feet and to provide the best plantar fasciitis relief. Additionally, you may find that heel cups are effective, protecting the heel from shock and tension. Heel cups are inserted into your shoes in the same way shoe inserts are, although they raise your heel to relieve tension and provide a strong cushion. Heel cups may be a cheaper option to try in comparison to full shoe inserts. Yes. If you wear shoes with good support and cushioning, your feet may not develop plantar fasciitis. You should also actively stay away from using high heels and try to replace shoes often before they become worn. Additional prevention involves ensuring that you are not overweight as being a heavier weight places a greater amount of pressure on the bottom of your feet, which may eventually lead to plantar fasciitis. You could also try to ensure that you complete low-impact exercises regularly, such as swimming, making sure that you stretch-out your feet and calves fully before you exercise and after you have finished. You should avoid high-impact exercise such as running as this can place a lot of pressure on the feet, and it may cause your muscles to tighten. For more severe cases of plantar fasciitis, you could try to use night splints while you sleep. When you sleep, the natural action is for your toes to point downwards, shortening the plantar fascia ligament in addition to your Achilles tendon. Night splits hold your feet in place at a 90-degree angle, consistently stretching your ligament and tendon while you sleep. This can really help to reduce, and eventually eliminate, the pain across your heels and arches. It is very important that you try to treat your plantar fasciitis. Left untreated, you may experience severe, lasting pain which may develop into a disability. Plantar fasciitis is very simple to treat, although it may take a long time to fully experience the benefits of your treatment, somewhere in the region of between 6 – 12 months. As well as specific footwear, you could try icing the arch and heel of your feet every day, or you could seek specialist help. Try making your own ice pack by wrapping a towel around a plastic bag filled with crushed ice, placing on your heel and arch 3 to 4 times per day for a period of up to 20 minutes each time. 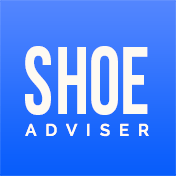 We hope you enjoyed our article on "10 Best Dress Shoes For Plantar Fasciitis in 2019", if so, please share and rate it.